Culinary tours - enjoy the special! The gourmet restaurant is most popular among the culinary tours and convinces with style, taste and class. They fly over Schneeberg, Rax to the gourmet region in Styria. The best for your guests ... Under this motto, the Liebnitzmühle staff spoils all their guests and promises a perfect wellness time! Flight into the Leibnitzmühle directly in the valley of the Thayatal for food in the middle of the Waldviertler landscape. Already Adalbert Stifter appreciated the magnificent view and saw over 100 years ago from the Tulbinger Kogel the windows of the Stift Göttweig glitter. 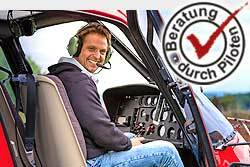 They fly from Stockerau via Greifenstein / Klosterneuburg and the Weidlingtal to Tulbingerkogel. Helicopter: Jet Ranger Bell 206 (max. 4 people) All prices include the flight. Exclusive food & drinks.